Among modern medicine’s achievements, one of the most dramatic has been a steep reduction in infant mortality. Yet, even today, there are exceptions. Babies born prematurely often have to battle to stay alive. Our best technology isn’t enough. Scientists recently took a small step towards changing that. A team of doctors from Children’s Hospital of Philadelphia was successfully able to bring eight premature lambs to full term in an artificial womb outside their mother’s body. Researchers dubbed the fake womb a “Biobag,” a good term to describe what’s basically a big plastic bag equipped with a circulation system and filled with a liquid that mimics amniotic fluid. After being born at just over half their gestation period—the equivalent for a human baby would be 22 weeks—the lambs spent up to four weeks in Biobags before being transferred to ventilators. According to the researchers’ paper, which was published this week in Nature Communications, extreme prematurity is the leading cause of neonatal mortality in the developed world—more than a third of infant deaths in the US are due to prematurity. Even when preemies survive, they often end up battling complications related to underdeveloped organs. More specifically, premature babies most often have respiratory problems related to their lungs being forced to transition from liquid to air ventilation before they’re ready. 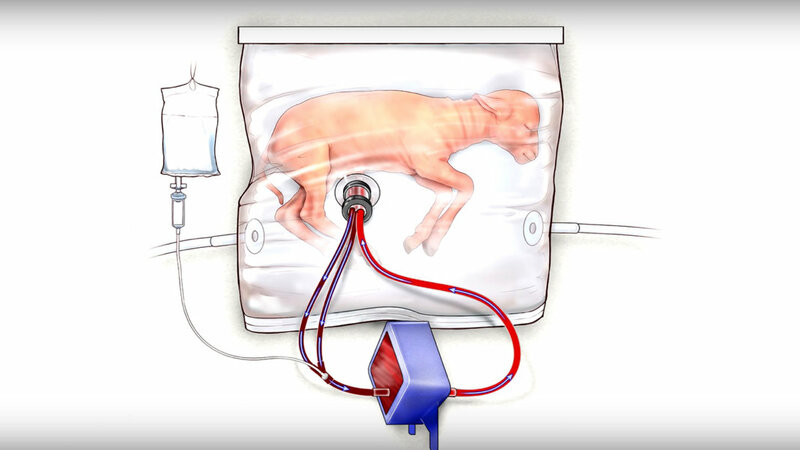 An artificial womb like the Biobag allows the lungs and other organs to continue developing more closely to the way they would inside a mother’s body. Obviously, though, a plastic bag is a far cry from a uterus, no matter how many advanced systems it’s outfitted with. During pregnancy, a mother’s blood flows to her baby, giving the baby oxygen and clearing its lungs of carbon dioxide. This isn’t an easy process to re-create, not least because the blood pressure has to stay within a narrow range to avoid damaging the baby’s heart. 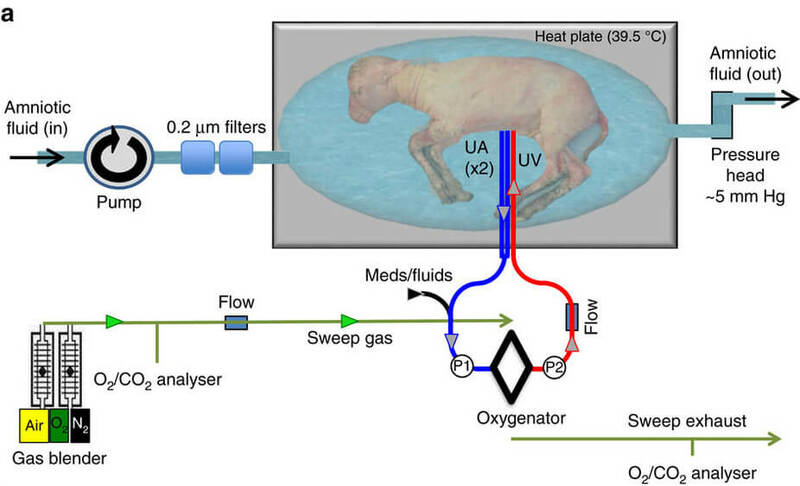 To clear these significant hurdles, researchers connected the lamb fetus’s umbilical blood vessels to an apparatus that oxygenated them. The baby’s heartbeat was able to power blood flow, eliminating the need for an external pump. Besides the oxygenator, the Biobags have two other crucial components: continuous fluid exchange and an umbilical cord connection. Each Biobag is a single-use, closed, sterile environment, with liquid continuously flowing out of the bag to be purified—just as a mother’s kidneys would do during pregnancy. Finally, the research team developed a new technique to connect umbilical cord vessels to an external nutrient source. The baby lambs that spent several weeks in the Biobags were compared to lambs born by C-section at full term, and the differences in crucial organs like lungs and brain were minimal. “These results are superior to all previous attempts at extracorporeal support of the extreme premature fetus in both duration and physiologic well-being,” according to the paper. Lambs and humans are, of course, not the same, and this project’s success doesn’t mean Biobags will necessarily work for human babies. But that’s the direction the team is planning to take their research. 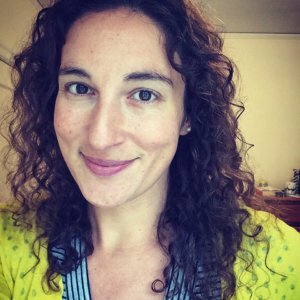 “We believe that the animal data that we have reported in this manuscript really supports translating our system into a clinical therapy for human babies,” according to Emily Partridge, a researcher Children’s Hospital of Philadelphia. Besides helping bring preemies to full term in a way that’s healthier for them, Biobag-type technology could be used to treat babies whose mothers have an insufficient placenta or to correct congenital heart or lung issues. In general, the technology offers a way to help premature babies without causing additional health risks to mothers. Could the mother one day be removed from the equation altogether (after providing an egg, that is)? Is that a desirable scenario, or would it render one of the most intimate parts of life too sterile and impersonal? It will be years or even decades before we find out, but women who have had complicated pregnancies or agonizing deliveries—or those who simply didn’t enjoy being pregnant—will welcome advancements in a technology that would free them from being nature’s vessel of life. It would pack a serious punch to gender equality, too.